A collection of delicious tried-and-tested recipes for gluten-free baked treats, from cookies and cakes, to party bites and hearty meals that all the family can enjoy. Features an invaluable guide to setting up and maintaining a gluten-free kitchen. Home baking has always been the most difficult aspect of the gluten-free diet to overcome – until now. 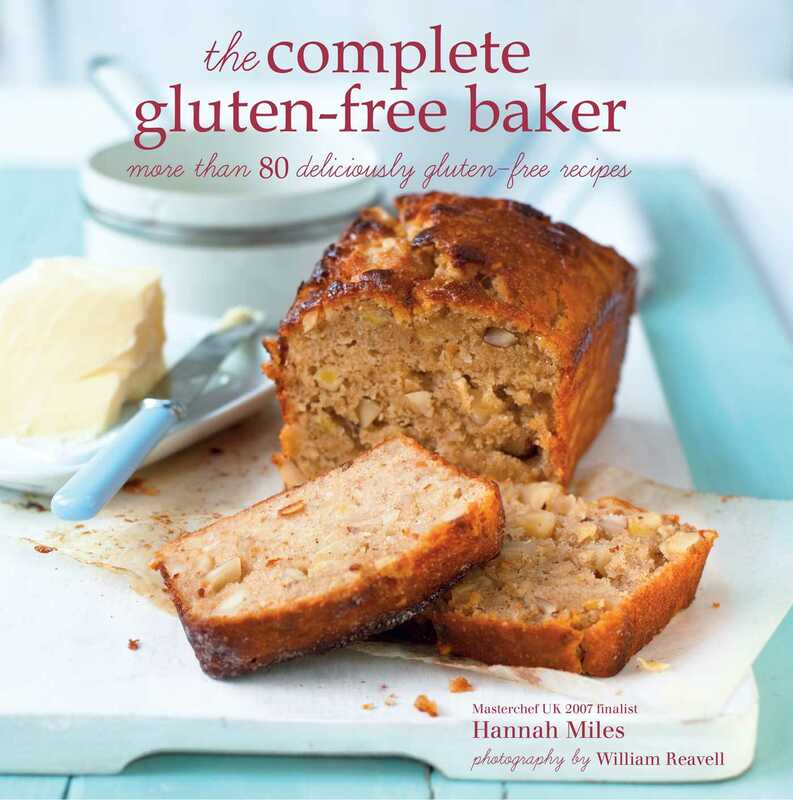 Using clever substitutes and ingenious baking methods, Hannah Miles has created the ultimate collection of delicious gluten-free recipes for both sweet and savoury treats, snacks and meals. Cookies, Brownies & Bars includes Ginger Cookies, Caramel Shortbread and White Chocolate & Walnut Brownies. A chapter devoted to Cakes provides inspiration for birthdays and other special occasions – try Apple & Pecan Cake; Caramelized Lemon Polenta Cake or Carrot & Coconut Cake. Small bakes for every day include Muffins & Scones to enjoy at teatime or with a simple soup for lunch. Small Bites such as Sausage Rolls or Cheese Straws are great to enjoy as lunchbox snacks and also perfect for drinks parties. Pies & Tarts make a great simple supper – try Creamy Asparagus Tart or Spicy Pumpkin Tarte Tatin – or turn to the Baked Dishes chapter to find more substantial meal ideas for the family, including Gluten-free Lasagne and Savoury Chicken Crumble. A chapter on Breads & Dough made with gluten-free alternatives to wheat flour, shows just how easy it is to enjoy foods such as Pizza or Brioche, which are usually off the menu for those on a gluten-free diet. Sweet tea-time pastry treats to try include Chocolate Profiteroles, Blackcurrant & Blueberry Millefeuille and Nectarine & Cream Choux Rings. And finally, indulgent Desserts such as Plum & Amaretto Crumble and Toffee Apple Cheesecake will become family favourites. Also included is invaluable advice on buying and cooking with gluten-free ingredients, such as pre-mixed flours, and keeping a gluten-free kitchen. This book is a must for both the gluten sensitive and coeliacs or for anyone who cooks regularly for a gluten-intolerant family member or friend.